Welcome to Mahwah Youth Soccer's website! Here, you will be able to find everything you need to know about the soccer program in Mahwah. ​It is the vision of Mahwah Rec Soccer to provide the youth of Mahwah with the opportunity to participate in recreational soccer. Mahwah Rec Soccer emphasizes having FUN while providing instruction on basic soccer skills, structured team play, sportsmanship, character building, leadership and a sense of fair play. We strive to create an environment in which players can reach their full potential and achieve the self-confidence and positive self-esteem necessary to be successful both on and off the soccer field. This site is updated regularly. Check here frequently for important announcements, schedule and practice updates, training information, special events and other important Soccer news. 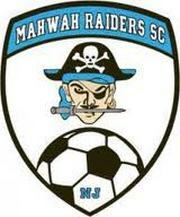 We strongly encourage ALL players to play BOTH Mahwah Rec Soccer and Raiders to continue to develop their soccer skills and increase the amount of touches on the ball. Running a soccer program for almost 700 players from five years old through high school can sometimes be a daunting task. If you are interested in volunteering, please contact us at mahwahrecsoccer@gmail.com.